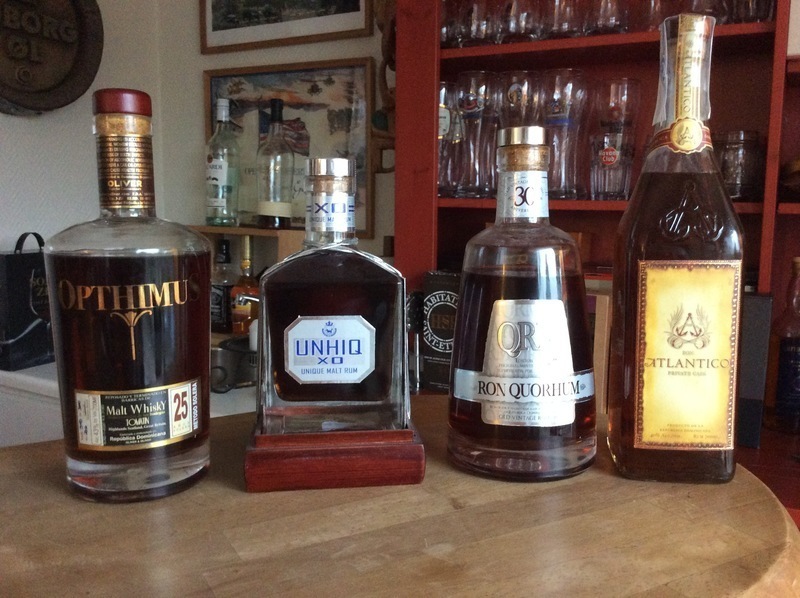 1st rhum I bought, really enjoyed and recommand it. En rom i stil med mange af de andre rom fra Oliver & Oliver. Den er god og rund og har en god eftersmag. Nice rom, ganske udemærket. Meget stil aá Oliver & Oliver som det er et privat vask af. Going with the Atlantico Private Cask Solera tonight! On the nose I get chocolate, vanilla, and maple. Well balanced, lots of vanilla and dried fruit and some arrack, but unfortunately a little too sweet for me. Once I got a bottle that tasted pure arrack more or less. Decent rum, slightly hot but still flavorful. Vanilla, caramel. This is quite expensive for what it is. I'd definitely call it a flavoured rum rather than a spiced rum, in that the main flavour here is very definately rum...nothing else comes close. As a rum it's not bad. Quite smooth, a bit of aburn, but not too bad. The quality of the rum isn't bad either, though I'd say it was about medium. After the rum, the other main flavours are oak, caramel and vanilla. If you want something cheaper, similarly smooth and medium sweet but a bit more interesting to sip, I'd recommend either Elements 8 spiced or St Aubins Vanilla. I think this is a tad bland next to them, but is still pleasant enough. Not a bad drink on the rocks. Smooth, but not to sweet. My only problem is that they charged me $14 a shot. En rom som man bör ha i sin samling, men inte mer än det, smakar givetvis inte dåligt men ger inte den smakupplevelse som jag önskar mig då jag köper en rom. Jag hade klart högre förhoppningar på Atlantico private cask. Den är tunn och smakar inte så mycket. Kräver att man luftar den rejält innan man dricker för att ens få lite aromer och smaker. Atlantico Private Cask claims to be 25 year Solera aged rum, but what a disappointment on the flavor, which is bland and the burn is so strong that a lot of 8 year old aged rums are smoother. Had a sample tasting of this. It's unoffensive but seriously lacking complexity for a 15-25 aged Solera. At the price point being sold here in the UK there are better alternatives.